You are currently browsing the category archive for the ‘Henri-Georges Clouzot’ category. 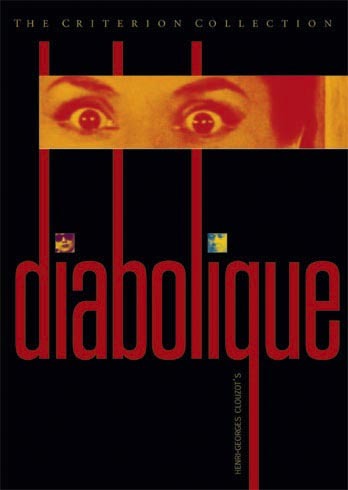 I always hoped that Diabolique would be one of those suspense films that hold up to repeated viewings. 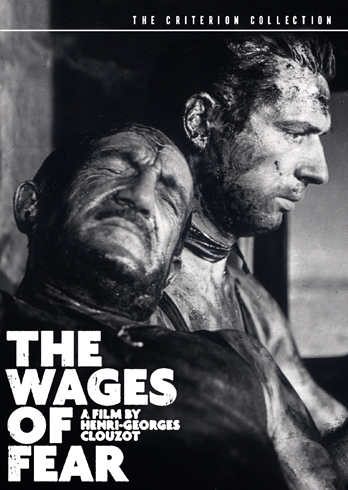 My first time watching it, I felt tense and agitated, unbearably so, as Vera Clouzot wandered the dark hallways of her boarding school, her heart straining in her chest. Returning to the film a few years later, I waited for same dread to creep along the back of my neck. While I could admire the film’s craft — a wardrobe door opening and framing the frightened schoolmistress in its mirror — that sense of horror didn’t arrive. I know what’s coming, I thought. And then it didn’t come. Being unable to rid myself of previous expectations or to sufficiently suspend disbelief is my own fault, but immediate reactions such as surprise and wonder are always tenuous and fleeting. They’re momentary miracles, like snow in Texas. This past weekend, I made my second trip to New Orleans. I’d been there about 8 years before and was seduced by its bizarre charms and even more bizarre odors. Voodoo! Ghost tours! 24-hour gay bars! Above ground cemeteries! Drunken frat boys! This time around, however, I passed the voodoo shops without glancing. I pitied for the heavily-costumed ghost tour leaders, leading around their stickered charges to the next balmy location. Even the drunken revelers seemed more annoying: on Bourbon St., a frat boy slammed his shoulder into me without so much as an apology. I daresay he did it on purpose — I wonder if he later laughed with his friends about that dude he’d knocked around like a bowling pin. I was in town for a literary conference, lured by my friend S___, who has attended this conference for the past several years and had talked it up as a networking extravaganza. But this time, he seemed less than taken. “I basically came here,” he said, “to meet up with people I haven’t seen in a while.” He compared previous trips to this one: the ribs in the Faubourg Marigny restaurant were better last year. There were no torrential downpours. The mosquitoes seemed less blood-thirsty. On the last night of the conference, we gathered upstairs at the Bourbon Street Pub and soaked in the cool weather — the floor-soaking rains from the morning now a moist memory. It was warm enough to wear short-sleeved shirt, and the humidity had hit breathable levels. On the balcony overlooking t he street, I shielded my eyes from the sun and talked to newfound friends. I devoured the plates of Costco cream puffs that had been set out. Bourbon St. was as quiet as it ever gets, five different types of music blaring out of four different bars. This slice of the city, this moment of contentment and calm — I won’t be able to replicate it, even if I wanted to. But the next time I’m in New Orleans, I suspect that it will return to haunt me — a dead headmistress giving a young boy back his slingshot.